Intrepid Control Systems » DataSpy DataSpy | Intrepid Control Systems, Inc.
Modern vehicles are more capable and complex than ever before. Features once considered exotic, such as adaptive cruise control, active lane departure prevention, and automatic parking, are rapidly becoming “standard” features. Drivers and passengers also have growing demands of their vehicles, expecting them to keep pace with the capabilities of their mobile devices and to provide infotainment and convenience functions. These trends have all led to a dramatic increase in the traffic on in-vehicle networks, and in turn, skyrocketing quantities of data that must be stored, managed and analyzed. DataSpy is Intrepid’s solution to vehicle network information overload. This intuitive and powerful software allows engineers to work with the wealth of data available on modern vehicles, processing it into useful information in a variety of ways. Read on to learn more about DataSpy’s powerful features. Please contact us if you are interested in a free trial. Process and analyze huge files, even those in excess of 1TB in size. Client/server architecture allows complex analysis to be performed on large, remotely-stored data sets. 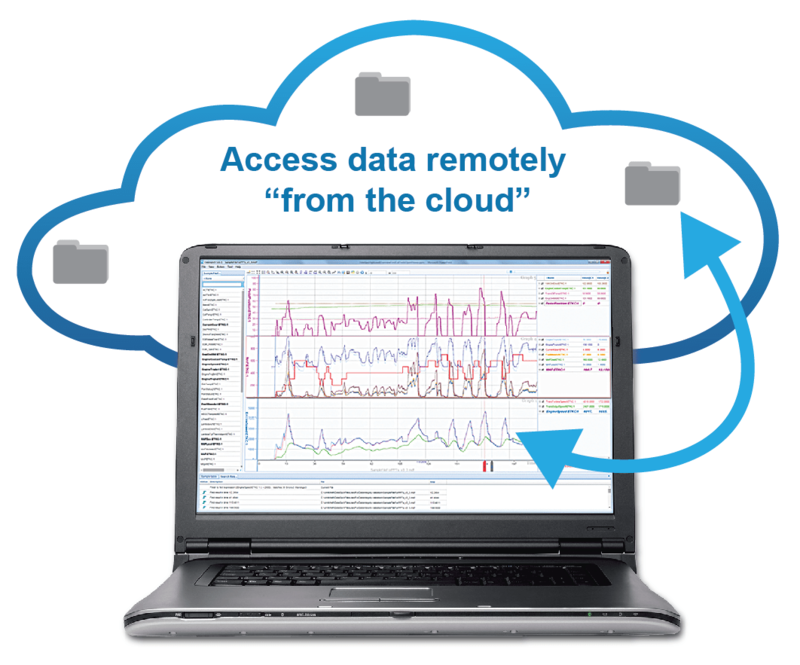 All features for cloud analysis accessible via standard Web browser. Software can also be installed on a PC to analyze locally-stored data files. Analyze data from Intrepid loggers, as well as that stored in the MDF format from ETAS or Vector. 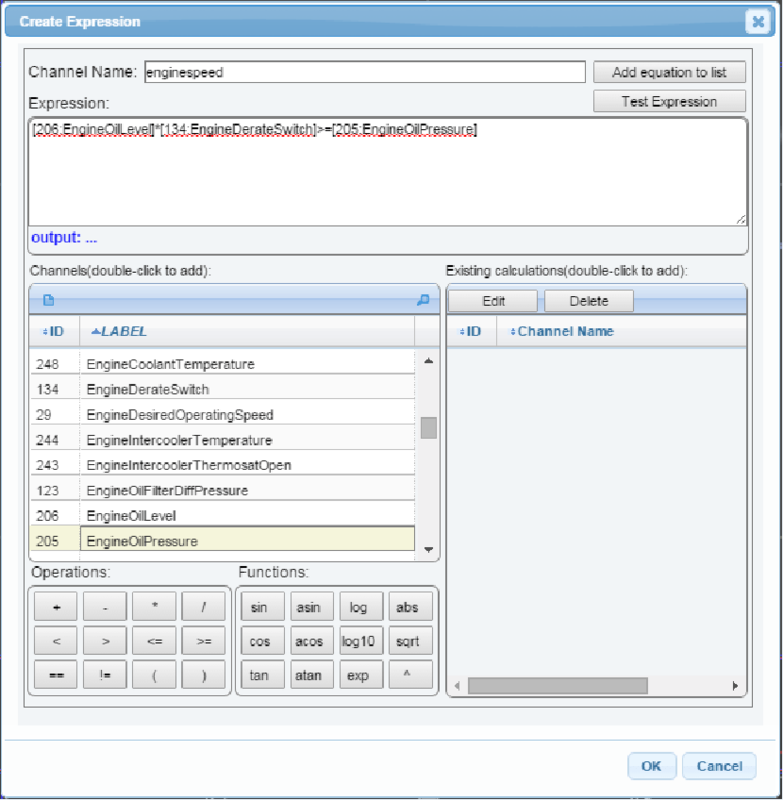 Create custom views of key signals and save configurations for use with other data files. Create links to events with custom views; other users can view results without installing any software. Post-analysis functions include multiple Y axes per plot, stackable plots time-aligned on a single time axis, legends, copy to clipboard, multiple cursors, and much more. 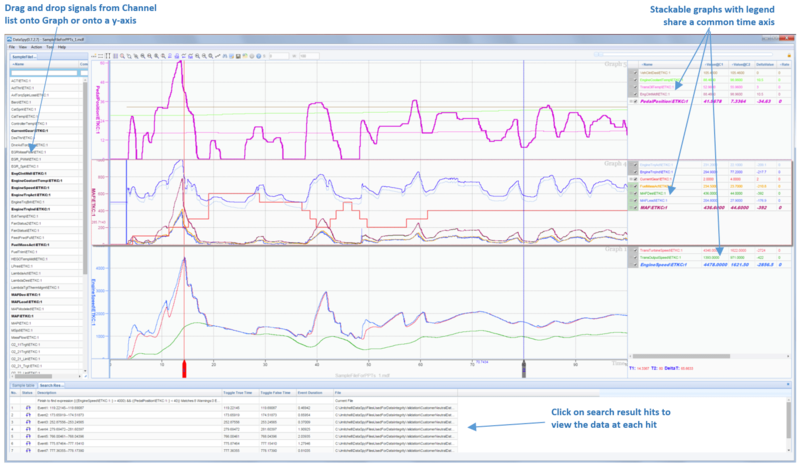 Effective use of screen space allows detailed analysis of dozens of signals on a single view. “Find In Files” feature enables users to search for events across terabytes of data, quickly stepping from one event to the next, showing user-defined custom views of each event. Easily define criteria using the Expression Editor to search through hundreds or thousands of files for specific events.